Alex missed a good one tonight. The Amazon UK blu-ray looks great – even revealing some monster-operating wires that no one would notice in old VHS copies. 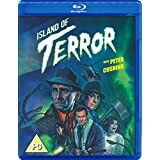 Peter Cushing, as always, brings charm and charisma to the proceedings as he and another scientist travel to a small island off Ireland to investigate a dead body found with (wait for it) . . . no bones! Seems some reclusive scientists on the other side of the island have accidentally bred "silicates" – slimy, crawling slug-like creatures that divide & multiply like cells – who inject a substance that melts down the bones of their victims. One gruesome scene caught us all off guard. Summer was not happy. Still, an overall enjoyable SMN! Revisiting a classic of the sic-fi film world this week. 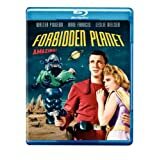 Great film with grand ideas, space dudes brimming with testosterone, cute Anne Francis strolling around in her space age mini skirts, an invisible id monster and, of course, Robby the Robot. Only the annoying drone of some of the "futuristic" sound effects detract from an otherwise stellar evening of classic cinema! 13 years into SMN, and I'm always looking for something new that's been off my radar. Enter, the Mexican horror film. 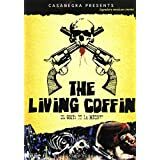 Hey, it's a Mexican-western-mystery-horror film – what's not to love! It's a reworking of the classic Mexican legend of the crying woman. Fun and entertaining. Some good creepiness, all while not taking itself too seriously. Curt Siodmak. Really, that's all you need to know. One thing I've learned in 13+ years of Spooky Movie Night, is that Mr Siodmak was kinda The Man. He wrote screenplays for classics like The Wolfman, House of Frankenstein and I Walked with a Zombie. Here he tells a gripping tale of two A-Men (Atomic Men) who are investigating the presence of a strange magnetic field that appears suddenly in a small town. The source is eventually traced to a new atomic element that uses the magnetic field to convert energy to matter. As it grows out of control, it threatens to throw the earth off it's orbit. Classic 50's post-war end of the world potboiler! Now THIS is why I bought that region-free blu-ray player!! Without it, we would have never seen this absolute gem that's unavailable in the US – which would have been a crime! An architect shows up at a country manor for contracted work only to find that the house – and everyone in it – have been appearing in his recurring nightmares. He knows some bad mojo is afoot as he keeps predicting people who enter the story and events that eventually unfold. Several eerie tales unfold in anthology style, shifting in tone without taking you out of the film's grip. The kids and I were blown away. Simply fantastic! 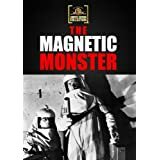 Another win for the region-free player as we load in the UK blu-ray of an amazingly intellectual treatment of the same sort of concept explored in the fun, but ultimately less satisfying, "I Married a Monster from Outer Space". Had never seen this one and I was surprised by it's depth of emotion for what is essentially a B movie. I chalk it up to the Brits, who prove again that they can do creepy sci-fi in a though-provoking way that transcends the genre. Certainly earned our applause as the credits rolled. The American title of this British classic was "The Creeping Unknown"– and a fitting title that is! This is a creeping, slow-burn of a chiller. A rocket returns from space with one survivor and only empty clothes left of his two crew mates. To make matters worse, there seems to be something very wrong with the survivor...and he's getting worse by the day. 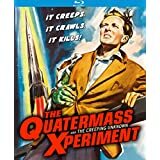 Crotchety Professor Quatermass throws his scientific weight around while trying to get to the bottom of what became of the missing astronauts. Tension builds steadily in this cerebral alien invasion film – Fun stuff! Summer was asleep early, so Corbin, Alex and I opted for a rare silent film. 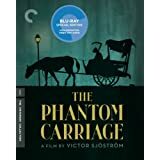 The plot sounded compelling: Every year, the last soul to die before the clock chimes in the new year is forced to drive death's carriage for the next year, picking up all the lost souls who have died. The special effects from this 1920 Swedish film were impressive for the period. Sadly, at 107 minutes, the film goes on too long (some editing was needed). What was unexpected was that this ended up a pretty potent tale of redemption. Obvious Christian undertones gave us a good post-film discussion. Would been about perfect if it'd just been about 20-or-so minutes shorter. 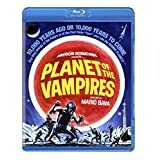 Beautiful blu-ray transfer of a classic Italian sic-fi that's a bit on the deceptive side where it's title is concerned. Let me say this up-front: This is NOT a vampire film. What it is, however, is some pretty engaging space opera fun. A race of bodiless aliens mess with the minds of space explorers, causing them to violently turn on one another. The dead come back to life, and things start to feel more like a zombie film than anything having to do with vampires. Fun stuff though...lack of actual vampires notwithstanding! 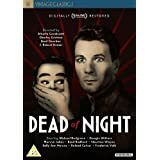 Last year's Christmas gift of a region-free blu-ray player has led to GREAT fun as I'm able to find stellar Amazon UK discs to replace my washed-out, scratched up, taped-from-TCM copies. 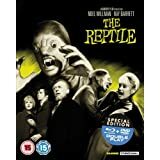 Case in point, this week's pristine blu-ray of Hammer's 1966 classic, The Reptile! The film is just some great, creepy fun, and it looked & sounded better than I've ever seen! The story is sort of a werewolf-vampire-creature from the black lagoon mashup. While the kids may not appreciate its technical aspects – they really dug this classic gem from the Hammer House of Horror! 7 posts categorized "Retro Design"
In case you missed it in the banner image sitting atop this blog, we've been very busy little bees here at Born to Design. Several months ago I had merely wanted to refresh the symbol potion of our logo. I came up with something that I was happy with – but the process had taken me down an unexpected road that I felt led to explore further. That road brought us here, to a new and wholly different brand identity. And it is indeed a long way from where we started. And yet, this feels like much more than just a new coat of paint. More than just a rebrand. More like a rebirth. It's hard to describe, but there's a renewed enthusiasm around this launch that has me as energized as I was when things were just getting started. Which is another reason the timing of this feels right; this year we're celebrating 15 years in business. To be honest, that had kinda snuck up on me. But it was back in 1997 that I was blessed with the opportunity to leave my position as Creative Director at Tavel Optical Group and take a giant leap of faith to go out on my own. And what an incredible journey it's been. As I was processing all of this, I thought it would be fun to launch the new identity with a nostalgic look back at the evolution of the brand. For starters, back when my now-13-year old daughter Alex was just north of one year old, I sat her on our kitchen floor, grabbed the camera, spread out some crayons by her and started shooting. The image that opened this post (never shown in full color before) was among those shots, and has been a component of our marketing materials and collateral ever since. But even before that, a baby has been a part of the vision for our identity. That's due to the answer I always gave when someone would ask how long I had known that I wanted to be an artist – "...ever since I could hold a crayon" was always the answer, and the truth. So in 1997, with the thrill of the leap still fresh, I grabbed my sketchbook and started working out design concepts (the same way I still do today). The sketch to the left was used for a very short time as is, but it's really the genesis of what would become the first Born to Design logo. This was the first real Born to Design logo. It was really just a refinement of the initial sketched idea, but it felt much more official. It was also a little indicative of some of the identity work I was doing at the time. Still, in the end (pun intended), it felt like me (other than the fact that I didn't work in the buff... and, for the record, I still don't). Around the year 2000, I felt like I had really outgrown the initial logo. My work had grown as well and I felt that, ironically, the first logo was a box I needed to break out of. I needed something that would stretch and grow as I would. My love for 40's and 50's era design aesthetics influenced what would be the Born to Design logo for nearly 12 years. Around the beginning of 2012 the typography in the logo was beginning to feel dated. Honestly, I'm not sure if it truly was, or if I had just lived with it for so long that it no longer felt fresh. Either way, I set out to slap a fresh coat of paint on things, while keeping the same visual vibe (maintaining brand equity, as I would tell a client). As I explored the new direction that the update process had taken me, it became clear pretty quickly, that this last logo was only going to be a transitional design; a stepping stone to something new and completely different. It's been very encouraging to hear what the few folks that have seen a sneak preview have had to say. It's exciting to finally unveil it to everyone else! The new brand is such a departure from the old one that it required a complete, from the ground up, redesign of our website as well. That has now launched and we'd love it if you hopped over to born-to-design.com and took a gander at that too. And while you're at it, click over to our Facebook page and give us a "like". That's all freshly rebranded as well. Thanks for strolling with us down memory lane. It's been fun looking back at where we've been – but not nearly as fun as anticipating what lies ahead! Relief is just a swallow away! As someone who is a complete geek for retro advertising in general – and advertising characters in specific – let me officially give a big welcome-back hug to Speedy, the Alka-Seltzer mascot! While watching my beloved Colts let one slip away again this year (oh, please don't get me started on that) my wounds were soothed during commercial time when our happy little friend started bouncing across the screen extolling the plop-plop-fizz-fizzy merits of the product that comprises the main part of his body. Maybe it's just me getting older, but I love that innocent charm that is inherent with these kinds of characters. Maybe I've just seen one too many commercials with the Colon Lady spouting off (maybe a pour choice of words) about all manner of unfortunate gastrointestinal manifestations in ways that would get my son in trouble if he were to use the same language around the table at Steak-n-Shake. Either way, I welcome his return and can only hope that his reemergence heralds a return to a more innocent, and fun way of getting our message out; and that it opens the floodgates for the reappearance of more of his classic advertising character brotherhood. Which classic character would you like to see get a new lease on life? Leave a reply in the comments below. Meanwhile, enjoy some of Speedy's glory days . . .
And even though it's not Speedy, how could I not share Fred Flintstone selling out to the man! What a treat recently when going to the Turner Classic Movies website to check out the schedule for the coming month. In their the Flash banner of their homepage I saw an illustration style that I instantly recognized. It was the elegantly simple style of illustrator Michael Schwab. I already give a tip of my hat to the TCM folks for the retro designed flare of their site and for their genre icons which were designed by Charles Spencer Anderson, one of the great influences on my early design career. They further show their good taste with these new commissions for their Summer Under the Stars series. Michael Schwab has a style that I have been a big fan of for many years. It's one that is so simple in it's execution that it is incredibly deceptive as to how hard it is to create. I know because I have tried before to emulate his style on a logo or illustration project and found it very difficult to get the look down. With the selective use of color, minimalist technique and brilliant use of negative space, his illustrations have a very iconic look to them – completely appropriate for classic movies. I highly recommend you check out the the full series of illustrations HERE (navigation from one to another is at the bottom of the screen) and check out how much this guy communicates using so little. Be sure to also check out his website for more inspiring images. From the TCM homepage you can also enter a competition to win a complete set of the 31 movie cards Schwab designed – but you don't want to do that (unless you plan on giving them to me), right? 1) How can I strive for the simpler solution in my own work? 2) How can I encourage clients to shun the desire to fill up every nook and cranny of white space in favor of a solution that is simple, impactful and elegant. I think that is always in order, regardless of your positioning, product or brand essence. The maxim that "good" is the enemy of "great" may be true – but sometimes being great can mean backing away, stripping things out and going with an elegantly simple solution. According to my main man Stendahl in the quote above, I must be – in the immortal words of Wile E. Coyote – a "Soooooo-pahhh Geeeeniussss". I mean, you'd be hard-pressed to find a style simpler than mine outside of your kids' Garanimals. If you fancy yourself a person of simple style – or if you are buying a Christmas gift (wink-wink) for such a person – then our Shameless Plug #2 (with a big discount, I might add) is right up your alley (you'll get that pun in just a minute). Way back in 1996 – a full year before launching out with Born to Design – my God-given entrepreneurial spirit gave birth to FontMart.com. Created (and styled) to be a 1950's supermarket where a shopper could fill their carts with authentic retro advertising clipart and hand-crafted fonts (designed by me of course). Clearly, were it not for my love of the simpler style of 40's and 50's era advertising art and design, FontMart would have looked very different – if it ever came to be at all. 13 years later we're still chugging along. A couple years ago I redesigned the site and built a new in-store display, right up front, to spotlight a package with appeal to designers and non-designers alike – a least those genius types with an eye for a simple sort of style: The Retro Bowling Shirt Fun-Pak! In addition to three bowling-themed fonts and package of retro bowling clipart, the Fun-Pak boasts a beautiful 1950's style FontMart bowling shirt and a Wolfgang the werewolf bowler toy figure – clad in his own matching shirt – a sweet FontMart exclusive from the folks at FunKo. But WAIT! There's More! Just for friends of Sharing My Crayons, we've knocked the price down 35% to only $58 (plus shipping). That's $30 off! To get the discount you must navigate to the special discount page using THIS LINK – as it is not accessible from within the store itself. Check out the images below for complete details of the goodies included with this fun little package . . .
Order soon for Christmas! If you have a bowler on your list – or you're someone who just loves rockin' a club shirt – don't miss the chance to snag a truly unique gift for a great discount (in case you missed it, it's $30 off the regular price – only $58). Thanks for indulging me for the past two posts with my shameless plugs. Truth be told, I have actually under-promoted FontMart these past 13 years – and now that I have a blog in which I often talk about effectively getting your message to your audience, I guess a little bit of "putting my money where my mouth is" would only be right. Gonna take off the P. T. Barnum hat now – it was clashing with my simply-styled outfit anyway. Martha Hunter: But Doctor, that theory doesn't explain why Jules' and Carson's minds have turned against us. Dale Drewer: Preservation of the species. Once they were men. Now they are land crabs. With dialogue like that, is it any wonder I love these kinda movies? As promised last time, we're devoting an entire post to advertising for my favorite little corner of the cinematic realm – classic horror and science-fiction movie posters. And you might be surprised by the level of design in some of these. Some are just cheesy (and I love 'em for that), but some are really well-designed pieces of art. Either way, modern posters from this genre are a pale shadow (better than the metaphor I was going with originally) of the ones we'll look at here. Let's dive right in . . . I'm living proof of the effectiveness of this poster. I had seen pictures of the monsters in my Famous Monsters of Filmland magazine (any other monster mag geeks out there?) when I was the kid – and I had seen this poster. Made me desperately want to see the movie – and that's the point, isn't it? Saw it for the first time just about three years ago and as evidenced by this post's lead-in quote, I was NOT disappointed. It is quite the "classic". Love so much about this one. It showcases two hallmarks of monster movie posters from this era: 1) It makes the monsters look scarier than they really are in the film (they only stand about waist-high – but they DO sport the ginormous head though) and 2) it features sweet examples of the "you-won't-believe-your-eyes" sort of call-out (think of these as starbursts of their day). I'm referring to the row of four red boxes along the bottom, each starting with the word "SEE". Doubtful these would work on today's jaded audience, but they must've worked back in the day. And when they say "See the Disembodied Hand that Crawls . . . !" they aren't kidding – and it grows an eye on top of it too! Suh-weet! Flat-out one of my all-time favorite movies of ANY genre. And they produced many posters for this. These two represent my favorites. With the style of illustration and period-specific color palette, this one just oozes all kinds of art deco goodness. So much to love about this! Love the power and energy all focused and contained in the very top portion of the image. Love the pilot climbing out from the smashed up plane who appears to be looking for a place to safely hit the silk. Love the narrow format. Love that the skyline in the background is curved to really enhance the notion of the action taking place at the top of the world. And love that this is now the third poster out of four to feature a swooning damsel in the clutches of a monster – if you sense a theme here, you may be onto something! Admittedly, part of the fun here is determining which two posters to pair up; finding a common thread, a visual link or interesting relationship. The bold use of color in this one gives it an other-worldly vibe. Very moody piece of work. And outside of a cape and fangs, Bela Lugosi has scarcely looked creepier. You can bet the gorilla in the background is up to no good too. While both of these work great for horror films – highly stylized, strong light and dark contrast, eerie greenish skin tones – I really love how this poster utilizes a technique that made these films themselves so effective. The scary factor is heightened by only revealing a portion of what it is that's after you, and you're left to fill in rest in your mind. I actually like this one more every time I see it. The juxtaposed type and figures strike a wonderful balance with each other and it serves to unify the piece as a whole. Love the added detail in words Karloff and Mummy. In a tale of two extremes, this poster for The Mummy fetched a dog-choking . . . wait for it . . . $453,500 at auction – while the next one . . .
Would have a tough time making a $9.99 opening bid on ebay! This is no great work of art, to be sure, but you have to admire the sheer audacity of it. Apparently the sky exploded on this day with gigantic microwave popcorn – hurtling steaming hot kernels at the freakishly wide-open eyes of an unsuspecting populous. Although, in fairness, they could be cotton balls. "Terror from the sky" indeed. There was something else I could see on a movie poster as a young boy that would guarantee my behind in a seat besides cool looking monsters, and that was seeing the name Ray Harryhausen at the bottom. He is still the undisputed master of the painstaking process of stop-motion animation (animating small models of monsters a frame at a time). His name was assurance that the monsters would be spectacular and believable. I never, ever get tired of this movie - one of my all-time faves of any genre! Let's see . . . Centaur with one eye? Check. Said centaur locked in battle with a griffin? Very cool, and Check. Crazy six-armed statue come to life wielding swords in each hand? Check. Funky little bat-winged flying man-creature? Check. Ray Harryhausen's name at the bottom of the poster? Check. But y'know . . . you had me at "centaur". Could they have created a better poster to communicate the word "adventure"? I don't think so – this poster screams adventure! And look kids – it's filmed in Dynarama! Although, in all honesty, the poster for this one does make me want to see the movie more. I love both of these posters for their sheer impact factor. Bold creative use of the color red knocks this one out of the park. In terms of reality this misses the mark: Notre Dame isn't bright red and there's no way the hunchback would be in that much shadow while the woman he's holding is that evenly illuminated – but that's why it works! All of these elements serve a larger communications purpose than representing reality. There's a great design lesson in that. Bizarre looking monster. Fun, slightly quirky font. Use of the the phrase "Somewhere in the world stalks a thing that is . . .". But what sells this from an impact standpoint is the tightly cropped image of the woman screaming in terror. Wonderful composition of the hands. They were trying to sell an emotional impact on their audience, and they nailed it. Sounds like a design lesson in there too. I can hear the pitch to the Hammer Studios exec: "Got a great idea J.B.! Bunch of dinosaurs chasing Raquel Welch in a fur bikini. We can save money on a script writer and have them just grunt and mumble like real cavemen would have done. We'll even use the money we saved to hire Ray Harryhausen to do the dinosaurs." J.B. asks to see the poster, then shouts "DONE!" Hey, the boys at Hammer Studios are no fools – if it worked so well in 1966, let's give it another whirl in 1970. No Raquel Welch. No Harryhausen. No surprise – a less successful venture. Love the poster though. And nothing says stone-age adventure like actually carving your title out of stone. Stay tuned as our next adventure takes us across the pond to check out movie posters from Poland! Yes, I said Poland. And no fair "googling" ahead either.